Arian Foster is Openly Secular! 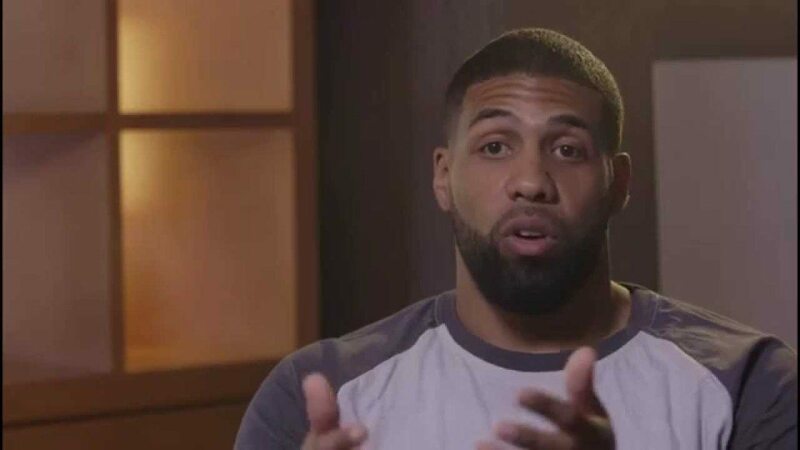 All-Pro NFL running back Arian Foster talks about his personal values of acceptance and love. My name is Arian Foster, and I am openly secular. My beliefs in regard to the existence of god is, I don’t know. I have no idea. I’ve done a lot of research, a lot of digging on my own, and I think that that’s the first step as human beings is trying to understand the world we live in. And then if there is anything, I was trying to understand that, as well. But I just don’t think we’re there yet to have any proof either way, so it’s hard for me to buy into all of it. I’m not a religious person. I never was – well, let me take that back. I grew up in a Muslim household. My father was Muslim, and I used to pray five times a day. And I think the big thing with him was he didn’t want us to…he didn’t want to pigeonhole us into any belief. He believes in freethinking kids, and so I think that was the biggest gift my parents ever gave me: they let us be freethinkers. So, after a while, I just didn’t feel right to me. I didn’t have anything against it; I just didn’t understand why we were doing some of the things we were doing. And, so, I kinda just strayed away from that, and that led me into studying other religions and other belief systems and, you know, after a while… I used to believe that there was a god as a kid. I believed strongly in that. I actually used to pray when I was a kid and even in high-school I was praying. And as time goes on, as life goes on, you know, my viewpoints started to change, and I think we’re really lucky to be in this information age we are in where the world is at the fingertips. Because, I found a lot of people who feel like me and think like me, and that really helped me kind of guide my beliefs. It made me think that it was okay to think about this kind of stuff, because a lot of times you get… you get shunned in your community for even bringing it up. I remember my mother even having conversations with me, she was raised Catholic, and she used to get in trouble for asking questions in her Catholic school, and she never wanted us to feel like that, and so that’s why we were raised how we were raised. But you still get it from peer-pressure and because as kids growing up, they’re getting fed information from their parents without really investigating the situation themselves. So, then they kinda get on their attack, and you feel kind of bad about what you are trying to even delve into. And so, you have to…you have to kind of find your own way, man, but try to do it as peaceful as possible. That’s what I’ve done. I hope my… if my religious friends and fans see this video, I hope that they react with the same decency and kindness that their creator would. You know, I’ve studied religion like no other. Like, I’ve been in churches, I’ve been in mosques, I’ve prayed with people. I understand the Bible, I understand the Qur’an, and I understand a lot of the tenets of religion and their core message is peace and love. You know, we can get into the semantics of stories here and there, but, that’s what Jesus was about. He was a very understanding person and if they can be understanding and not judge me, then that’s a win because, if I am lost, you know, if I am a heathen, then let me try to find my own way. I’ll find my way, if that’s the case, but I’m not here to cause any harm. I got love, I have many Christian friends, many Muslim friends, many Jewish friends, Buddhist friends, from all walks of the earth, and we all have an understanding in my life that, you know, we might believe differently, but like, I have the utmost respect for you. It has nothing to do with who I pray to at night. I have faced some discrimination, alienation, for what I believe in. When I first went to the University of Tennessee – which is in Tennessee, it’s the south, it’s the Bible Belt – and I came from, I went to high school in San Diego, and it’s a little more open over there, so, you know, you get to talking with your friends and stuff, and it’s more known that people have freethinkers out there. But when I went to Tennessee, I was like the first person that didn’t believe in Jesus Christ that a lot of these kids have ever seen. And so they looked at me, like, I remember them asking me, “Do you worship the devil?” and things like that and I’m like, I don’t…I don’t worship the devil. And so we got into a lot of debates, a lot of them got very angry with me, a lot of them wouldn’t talk to me, and so you kind of feel that, but I think, we were stuck there together for four or five years, so, as time went on, they understood that I’m a pretty good human being, I just don’t believe what you believe. And then, after a while, that went away and like some of my best friends were some, are some of the ones that I got into it with when I first stepped on campus. But, there’s a lot that goes on and I think it’s because of the ignorance about what atheism or agnosticism is. And I don’t mean ignorance with a negative connotation; it just means lack of knowledge. Like, there’s people who have never even looked into it because it’s such a taboo thing to say or do or feel or think. And so, I think, the more and more people start just even having a discussion, the more and more accepting people will be. I do think there are athletes professional and collegiate that are non-believers that are probably afraid to talk about it, and you know, rightfully so. We live, or, our culture – our football culture – is, for some reason, very rooted in… really it’s religion is Christianity. You know, before every game, I remember as a kid, like we would used to say “Our Father” prayer, and at the time, I didn’t even know what it was. I was just kind of saying whatever everybody else said and even to this day, before the game, people would gather up for prayer and now it’s a little more open. As men, they understand that not everybody believes the same. But in college, I remember I kind of got into it with some of my coaches because they took the team on a trip to church on a Sunday and I didn’t want to go, and I was like, I’m not trying to buck the system, I just, I don’t believe in that, and they were like it’s more about team camaraderie, but I’m like, I don’t want to go, I don’t even understand why I have to, like why can’t we go on a swimming trip? I’ll go swim with them. And, so, you get a lot of that if you do express your beliefs, which is like I said earlier – it’s just about having the conversation and doing it in a peaceful manner. I have once said that I held it in because I fear backlash. And what I meant by that was I don’t think I’m going to have picketers at my door or burning crosses in front of my house. I don’t think – I hope – that doesn’t happen, but I think what you fear is just that liability of being in the public eye. And not everybody understands, like I said, I’ve been asked so many times, “Do you worship the devil?” Like, no, I don’t really believe that there’s a god, so I really don’t believe there’s a devil, either, so, can’t worship the devil. But it’s just that the ignorance of that belief system. You know, if you’re in the public eye, it’s affecting sales, it’s affecting business. People want to support their religion, so if they have the choice to buy this guy’s jersey or this guy’s jersey, they’re going to side with the guy that believes in Jesus. And it’s like, I understand that, I get that. And when you’re in the system and when you’re in collegiate system and you’re in professional early on, like, you take all that into account, so you don’t want to ruffle any feathers. But I think I’m at the point in my career now where none of that really bothers me, and I understand who I am as a person, and I believe that means more to me than the extra dollar. I’m doing this video now because I was inspired by watching Bill Maher’s Openly Secular video, and he said something that just really resonated with me. And, also, Penn and Teller. They said, at the end of the video, if you’re having doubts, if you’re afraid of backlash, you might find that you’ll have more allies than you do enemies, and that really made it a little easier for me to come out. So I was inspired by both of them and as well as Bill Maher. Bill Maher said, um, he’s really aggressive with his beliefs, which I find him hilarious, by the way, but, that’s not necessarily my stance. My stance is more, let’s all try to figure it out together. I’m not against you. I would love to know, just as well as you would. I know you know in your heart of hearts, you know, so does the Muslim, and so does the Buddhist, everybody knows in their heart of hearts that their god is the one true god, and I’m like, well, if there is, let’s find out. I’m okay with that…so let’s scour the universe and see if we can find some evidence and some backing, and I’m okay with that, I’m open to all of that. I just think that our brilliance as a society is in our science. I really do. It’s a beautiful thing. We can sit here and communicate with someone on the other side of the world instantly, and that’s a beautiful thing. And I think a lot of the laws and stuff passed are still based on a lot of religious documents that, you know… it’s hard to follow those if you don’t believe in it. And so I think it’s just like our founding fathers wanted to have in the first place. Let’s separate religion and state, or church and state, and progress as a society. And believe what you want to believe, but let’s push towards what we know and what we can prove. I think, you know, speaking my truth might help others speak their truth. I was inspired to, I guess, come out publicly and say that I’m openly secular because…by another atheist. I think that my unwillingness was more in fear. Like, I was afraid about what people would say, think, do, react, and now it’s like the fear is kind of… it is gone because there are other people out there. A lot of people want to say what they feel, but are afraid of the backlash. So, if me saying this helps someone say, “You know what, man, I’m going to go tell my mom I don’t believe anymore,” or “I’m going to tell my dad, like, I just can’t do this anymore, this is not who I am.” It’s a freedom. It’s a freedom, and I think that’s what’s we’re put on this earth to be free, and to explore, and to understand as much as we can, so go be free. Like, it’s freeing walking around knowing you are who you say you are, and I think it’s what it did for me, it’s just like I’m free, like I don’t have anything to hide anymore, like, it’s a beautiful thing, being free. I think the positive impact of more people coming out as openly secular is it will close the gap of that group being a minority, and it will give them a bigger voice, because I really believe that the more voice you have, the more impact you can have on a community or, you know, a state, or a country. There’s always going to be militant atheists, just like there’s militant Christians, or militant Muslims. But, like, the core of the people that I have come across and I’ve researched, they are really peaceful people. They just want equality, and they want to push education. I’m a huge believer in education. And, so, I think the positive impact of that is getting some of those kinds of things out there. If I could say some words to somebody who is on the brink of telling people around them, or coming out publicly and saying that they are openly secular, all I would say is that there is no price on freedom. And when I say freedom, I mean complete freedom. You know, I’ve went through a lot in my life. I’ve done a lot of things I regret, I’ve seen a lot of things but at this point right now in my life, I’m extremely happy, and I think a lot of that happiness has to do with gratitude. I’m grateful for the people around me, I’m grateful for the opportunities that I have, I’m grateful for all of those things. I don’t have to pretend. You know, I don’t have to pretend, if somebody is walking down the street, I don’t have to put up a front, I can be me wherever I go. And, when you are you wherever you go, it’s just a beautiful feeling, like you start to develop a self-love, a self-care, and what I’ve really learned is you can’t truly love somebody else unless you love yourself. I’m 28-years-old and it took me 28 years to understand that, and I’m excited about the next 28 years, lord willing. My values stem from trying to treat people how I would want to be treated. It’s a very simple concept. And just like every other human being on this earth, I fall short of that sometimes, and I think me understanding that helps me have empathy towards other people that will also fall short of that. So, I think I just try to have as much empathy as possible and I try to treat people as well as I can. Whether or not you believe I’m going to hell for what I believe, like, I’m still here, and you still have to share this space and time with me. So, if Jesus was here, or if Muhammad was here, or whoever was here, like, I’m pretty sure he would want you to treat me kind. And if he doesn’t, that says a lot right there. I just want to treat people kind, to the best of my ability.